I am in the process of replacing my distributor on my 95 3.9 with 140,000. Symptoms were while driving down highway it started to hesitation, back firing, very rough idle. I had it towed home. I tried a few days later to start and it started and ran smooth for about a one minute then start with rough idle. I had recently (less than 200 miles) replaced all leads, spark plugs cap and rotor and ran fine. after the breakdown, I replaced the remote located ignition control module. the vehicle ran fine for one day about 100 miles, next day went to back out of the driveway and have same problems as I mentioned before. 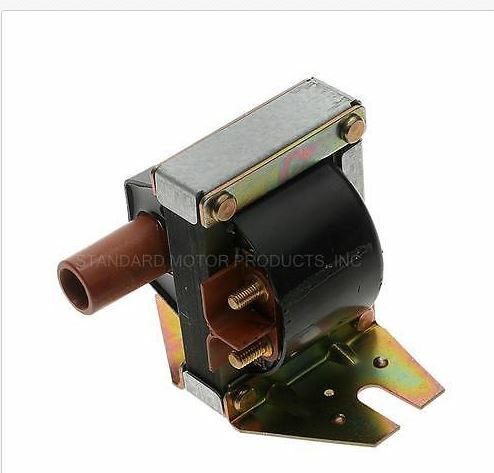 So I bought a used distributor on line quoted "from working Vehicle" but I am having reservations about installing since when I rotate the shaft the it spins freely then feels like its catching on something but then will spin smooth again. is this normal or should it be a consistent smooth operation? The one from my vehicle spins freely with no hesitation or "catching while rotating shaft. Wife loves it, My knuckles hate it. Distributor rotation should be smooth all the way round, if you hold the drive gear still and try to turn the rotor arm it should move about 1/4” and spring back to the original position. Have you replaced the coil? To me that sounds like the more likely problem than the distributor (you’ve already changed the ignition amp which in my experience they work or they don’t there isn’t really any in between). Yes, I did replace the coil, with a new one. it has one that I usually don't see on range rovers in the Junkyard a UF304? That’s a weird looking coil! Has your car had changed made to the ignition system from standard? The ignition system (remote located coil and ICM) has been in it since I bought it about 12 years ago and has ran perfect till recently. Update on the used distributor I bought. I took the dust cap off and pickup plate off and found springs were off the vacuum advance weights. I reassembled the distributor. installed in rover with rotor arm pointing and #1 lead on cap. Motor fired right up, and ran the smoothest it has after a minute or two of run time since I started having problems. It appears my original distributor was my problem. I ran out of time to finalize timing adjustment and I need to clean up harmonic balancer so I can read the timing marks. Check air gap butterfly valve, check voltage MAF sensor.